Found b&w photo booth photo from 1940's with "Lucky" written in ink. Enlarged, cut out, and colored with photo dyes, marker, paint pen. Found note about Junior Richter's death in World War II added. 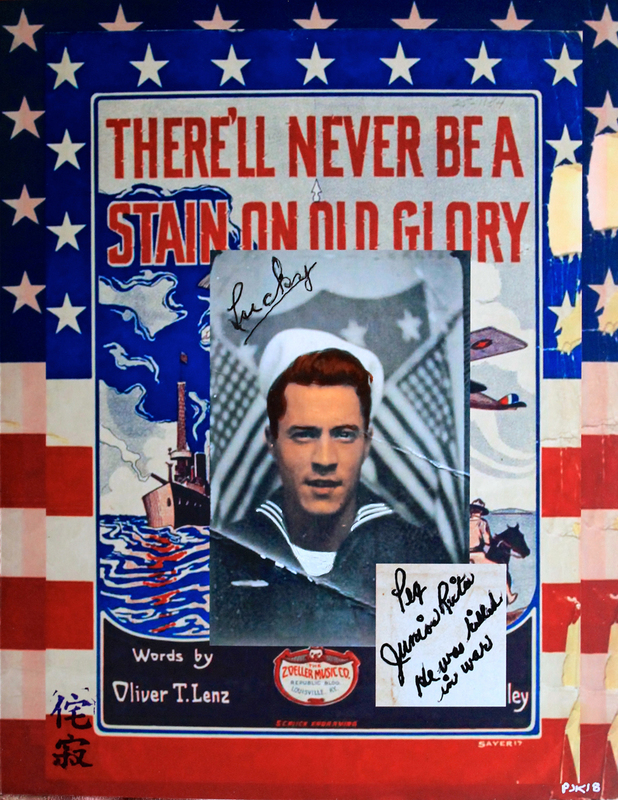 All mounted on a collage of WW I sheet music ("There'll Never Be a Stain on Old Glory Again.") If only that was true. Wabi-sabi series.